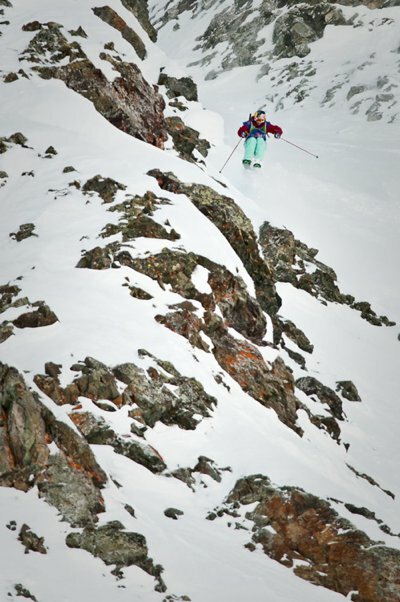 Grete Eliassen charging big mountain lines at the 2011 edition of Red Bull Cold Rush. The epitome of backcountry freestyle progression, the peer-judged competition consists of three different disciplines &ndash; Slopestyle, Big Mountain, and Cliffs. The male and female competitor who best earns the respect of their fellow skiers at the conclusion of the event will be awarded the top spots. Leo Ahrens airs one out on the cliffs day. Josh Bibby on the backcountry slopestyle course. 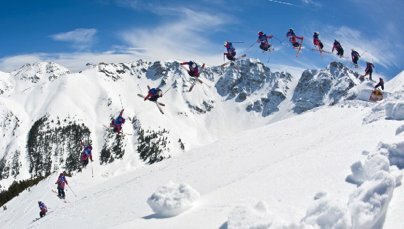 To get a glimpse of the action to come, check out highlights from last year&rsquo;s Red Bull Cold Rush event at http://www.redbullusa.com/coldrush. For fans in the U.S., tune-in March 24th to Red Bull Cold Rush airing nationally on NBC at 1pm EST/10am PST. The event airs as part of a new sports programming block called the &ldquo;Red Bull Signature Series&rdquo; which features the most progressive snowboarding, mountain biking, freestyle motocross, skiing and BMX events. For more information, visit http://www.redbullsignatureseries.com.